September 23rd, 2018 marks the start of the inaugural Gender Equality Week in Canada. While the Canadian Government’s campaign aims to shed light on the ways which #EveryoneBenefits from gender equality, the Women’s Health Research Institute (WHRI) will use this week as an opportunity to reflect on gender inequalities existing within health research. Around the world women are more likely to die from largely preventable illnesses, like lung cancer, or HPV-related cancer. They also bear a higher burden of chronic illness than men, experience higher levels of disability, and are twice as likely to suffer from anxiety and depression. However, despite these alarming disparities, until recently, much research aimed at understanding women’s conditions did not include only women in research trials. Women’s health research projects are necessary in order to understand differences between women, across sexes, and across the lifespans. Our recent publication, The BC Women’s Health Research Agenda provides insight into the core challenges perpetuating these inequalities, and details tangible steps that researchers can take to help address them. Throughout the week we will be discussing gender inequalities in health research across our social media, and encourage you to join the conversation. 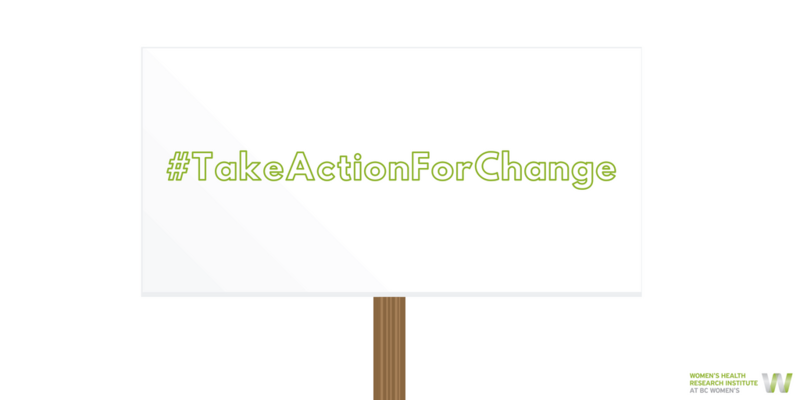 Follow us @womensresearch on Twitter and Instagram, and let us know how you will #TakeActionForChange to move the needle on women’s health research.